With every passing year, vacuum cleaners are becoming more sophisticated and technologically advanced. The efficiency with which these machines clean has also increased and, inevitably the prices have gone up as well. Hence, it’s important to spend an adequate amount of time deliberating the selection of the right vacuum cleaner for you. Depending on your cleaning requirements, you’ll have to decide if you need an upright vacuum cleaner or a canister vacuum cleaner. You will also need to take a call on whether the vacuum cleaner should have specific attachments for tackling pet hair or for cleaning debris. Similarly, you will have to determine whether a bagless vacuum cleaner is the right one for you or a bagged vacuum cleaner. There was a time when all vacuums were bagged vacuums. 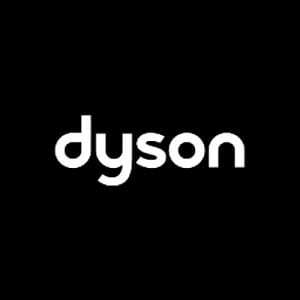 As the name suggests, such a vacuum cleaner is equipped with a dust bag, which needs to be discarded once it fills up with dust, dirt and debris and replaced with a new one. In a regular household, dust bags are discarded and replaced about once a month. Hygiene: This is one of the primary benefits of a bagged vacuum cleaner. The dust and dirt remain inside the dust bag at the time of disposing of it, which ensures that none of it escapes or leaks out in the household atmosphere. Technological advances have also improved the quality of sealing in the dust bags, which further eliminates leaks. Protection against Dust Allergies: The expensive air filters in the vacuum capture the minute allergens in the house and if the same escapes at the time of emptying the dust bag, then it completely defeats the purpose. A bagged vacuum cleaner with a sealed dust bag takes care of that. If you are susceptible to dust allergies or asthma, or if you have kids and elderly people at home, then a bagged vacuum makes sense. In the case of bagless vacuums, there’s an inherent risk of dust and dirt escaping at the time of emptying the dust cup. Maintenance: This is another aspect where bagged vacuums trump over bagless ones. Since the dust and dirt accumulate in a sealed dust bag, you don’t need to empty it or clean it regularly. Once the dust bag is full (usually there’s a mark on the bag to indicate its maximum capacity) you simply discard it. In addition, the filter in a bagged vacuum is built into the dust bag. So, there’s no need to clean the filter. Plus, you have a readymade indicator to inform you when it’s time to change it. Suction Power: A certain amount of suction power is required for deep cleaning of carpets and rugs. Since bagged vacuums are sealed with the filtration system built-in, it provides better suction power and performs better in deep cleaning. Cost of New Bags: You will have to either buy a bunch of dust bags in advance or buy a new one every month or so. A good quality dust bag that seals at the time of disposal costs at least $4-5. So, you will have to factor in an additional expenditure of about $50 per year. A danger of Clogging: With bagged vacuum cleaners, you need to be vigilant once the dust bag gets close to filling up completely. If you use the vacuum when the dust bag is almost full, there’s a danger that the dust, dirt and other debris will be sucked into the filter and worse, the motor. You might be able to clean the filter at home, but you will need professional help to clean the motor. There’s also a chance that the motor might break down. 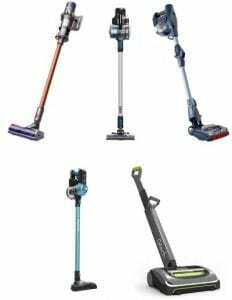 Currently, bagless vacuum cleaners are undoubtedly the more popular option among consumers. It’s partly because of the fast-paced lifestyle that’s prevalent now. I guess no one wants to waste time on discarding dust bags and fitting new ones. Plus, you save some money as well, because there’s no need for new dust bags. The dust cup in a bagless vacuum needs to be emptied after every use and cleaned once in a while. Transparent Dust Cups Reduce Chances of Clogging: Bagless vacuums have transparent chambers for the dust to accumulate. Plus, there are indicators to inform you when the maximum capacity has reached and the dust cup needs to be emptied. This, to a great extent, eliminates chances of dust entering the filtration system or of clogs forming. You also get to see firsthand the quality of the job the vacuum is performing, because you can see the dust accumulating in front of your eyes. Environmentally Friendly: In case of a bagless vacuum, you will not be discarding hundreds of dust bags over the lifespan of the vacuum, which automatically makes it more eco-friendly than its bagged counterparts. Filter Maintenance: Unlike bagged vacuum cleaners, you don’t need to replace filters as frequently. You have the option of cleaning the filters and using them for a period of time before replacing them. Cost of New Filters: Depending on the type of filter used in the vacuum, you will have to replace it every three to twelve months. Basic filters cost around £5-10 and more advanced filters cost £40-50. If your vacuum has a high-efficiency particulate air (HEPA) filter, then the cost will even higher. 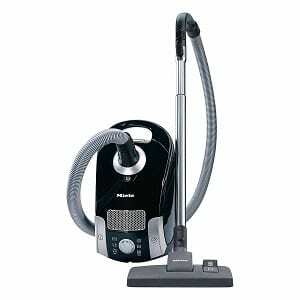 Note that nowadays the top-end models of bagless vacuum cleaners do not need replacement of filters. Chances of Allergens Escaping: Emptying the dust chamber in a bagless vacuum can be quite a cumbersome process. You need to put in a lot of effort to ensure that none of the dust or dirt captured in the vacuum leaks at the time of emptying it. However, there’s still a chance that a portion of the dust may escape. If dust allergies and asthma is a major concern for you, then you might face some problems. Even if dust allergies isn’t a concern, you wouldn’t want any of the captured dust to escape back into the house. There are arguments for both sides, now it really depends on what your requirements are. 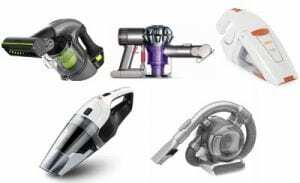 Weigh the pros and cons of both, bagged and bagless vacuum cleaners, that we have listed above and make your final pick!